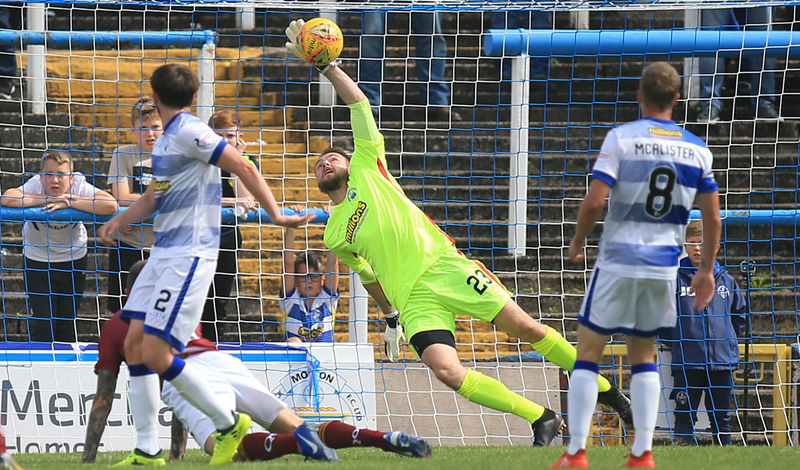 As we aim to get back on track, we have the second game of the week in the Championship on Tuesday night when we travel to Greenock to play Morton. The two earlier meetings between us this season have been close encounters. At Cappielow in August, we came back from two goals down to earn a point with goals from Callum Semple and Josh Todd in a two all draw. And at Palmerston youngster, Reece Lyon scored a great goal on his debut, six minutes from time to give the visitors a two – one victory. After being caught with another late sucker punch on Saturday against Alloa, Manager, Gary Naysmith was left frustrated. “I still can’t believe that we lost the game on Saturday. I was disappointed for the players that they got nothing after the effort they put in during the second half. We throw everything at Alloa and were deserving of at least a point but were caught out late on, due to our own mistake and that’s what left me frustrated. It was another point dropped and a result that saw us drop a place in the table. It also meant that we continued the disappointing run of results that we’ve been on. It’s not that we are playing badly. In our last two games, against Dundee United and Alloa our second half performances in both games have arguably been the some of the best we’ve had all season. So we just need to dig in and continue to work hard and hopefully get a wee bit of luck along the way. Everyone was hurting after the result on Saturday, so confidence is down just now but we just have to lift ourselves and move on. It’s good that we have another game quickly; we just need to make sure we get the basics right and cut out the silly mistakes to give ourselves a fighting chance. It’s getting to the business end of the season so we need to put points on the board again. Morton are one of the teams round about us along with Dunfermline and we have both to play twice and have all the others still to play once so there’s still a lot of football to play. This week was always going to be one where we were going to have to utilise the squad. Josh Todd will still be out for another few weeks yet as will Nicky Low. Connor Murray is also missing for the game tomorrow. We also have a few players carrying knocks so we will have to wait until the last minute before making a final decision. Barry Maguire has served his suspension so is back available and Darren Brownlie is also back in contention”. Queens fans travelling to Cappielow should note that they will be accommodated in Sections F&G of the Main Stand. Tickets can be purchased at the ticket booth beside the Main Stand turnstiles in Sinclair Street. Prices for entry are Adult £20 Concession £15 (over 65, student, 18-20yrs) £5(12-17), £1 under 12 accompanied by an adult. Proof must be shown. Wheelchair users pay concession but carer is free. Due to limited space, access will be for one carer per wheelchair user unless there are special requirements for another carer. Wheelchair users and carers enter via main stand entrance in Sinclair Street. The wheelchair area is shared with home fans and is under cover although rain can enter depending on wind direction. Supporter’s buses drop-off and pick-up is East Hamilton Street (A8 dual carriageway) outside Arnold Clark showroom. Supporters buses can park free within the main car park accessed from the A8/Sinclair Street junction. Bus drivers must ensure they leave the main car park at least 15 minutes prior to the end of match to uplift supporters on East Hamilton Street outside Arnold Clark’s showroom. Car parking is charged at £3 and accessed from the above entrance. Toilets and catering facilities are shared with home fans.